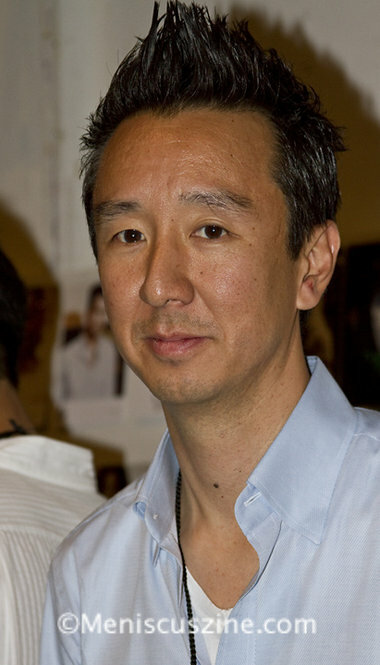 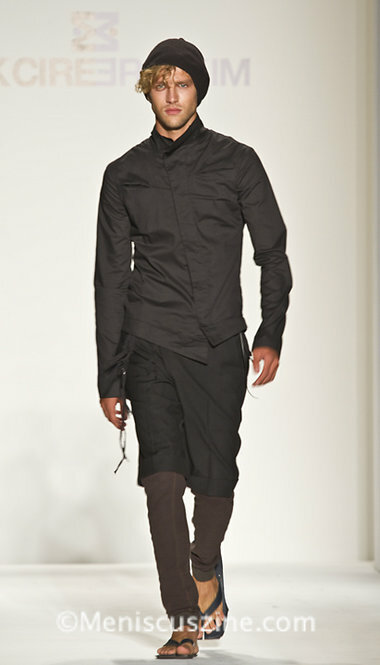 Last season saw the debut of Eric Kim’s departure from his long-celebrated label Monarchy and into edgier territory with his eponymous menswear line (spell “Mik Cire” backwards). 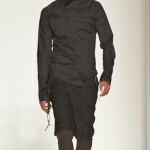 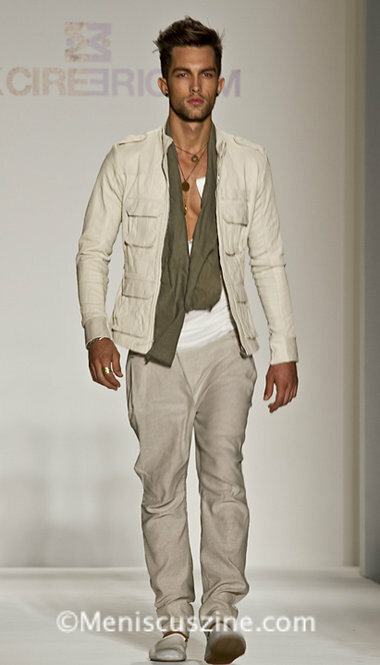 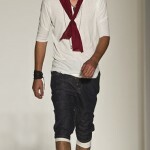 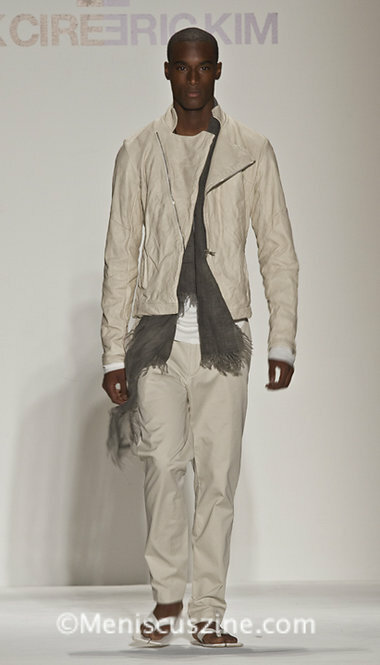 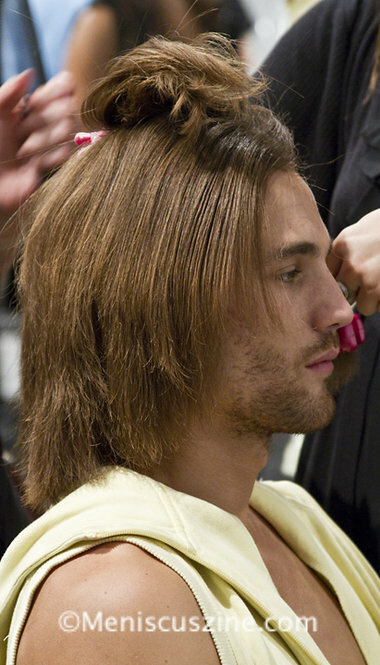 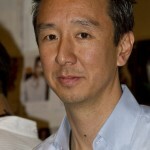 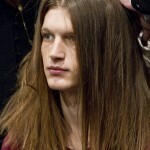 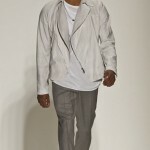 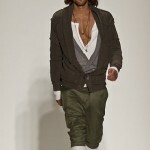 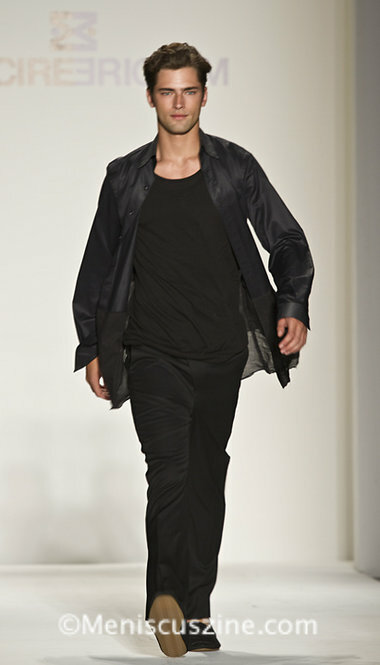 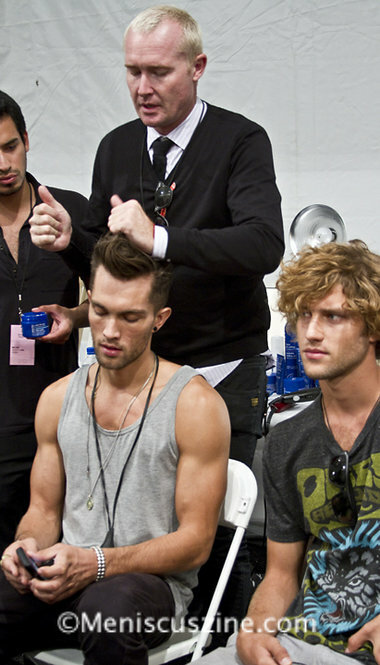 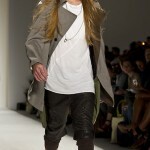 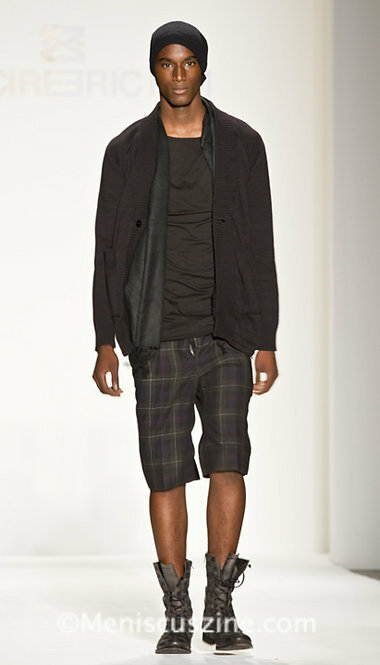 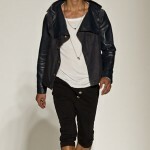 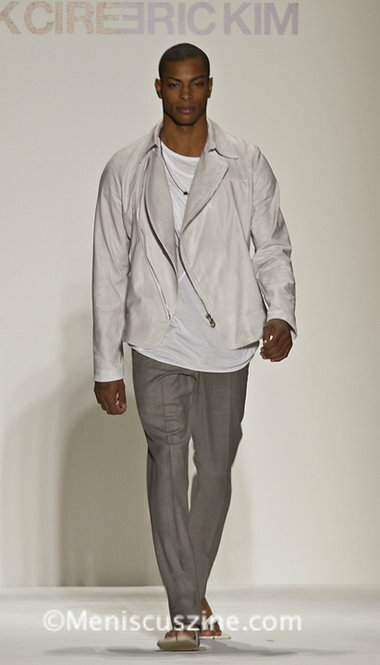 His Spring/Summer 2011 collection shows how much Kim has continued his evolution from designing for a predominately L.A. clientele to an audience eyeing his wares at New York Fashion Week. 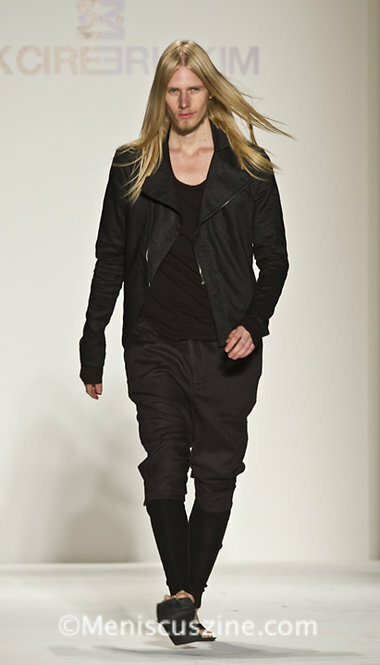 While some items seem to endure as holdovers from the early days of his Monarchy line – thermal cotton leggings, anyone? 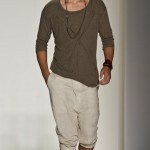 – Mik Cire by Eric Kim features slouchy, light and, most importantly, comfortable clothing. 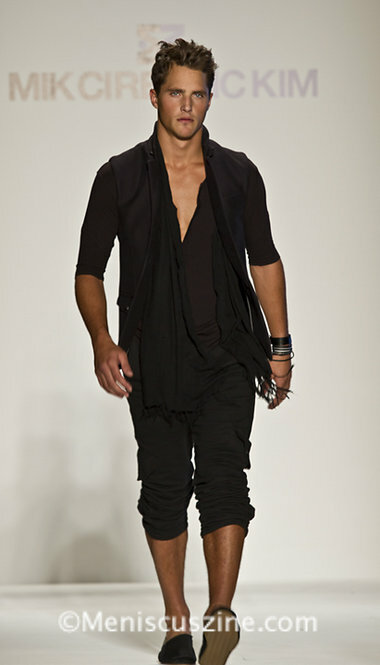 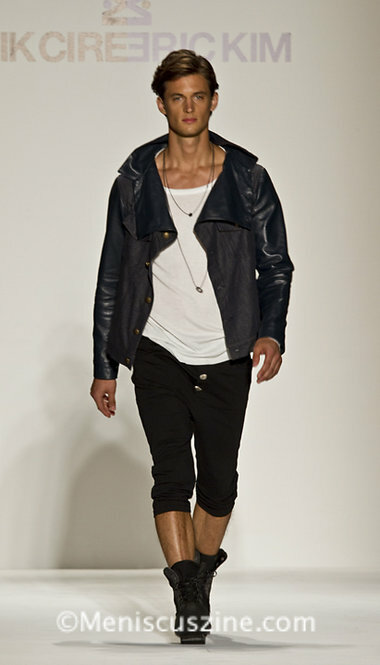 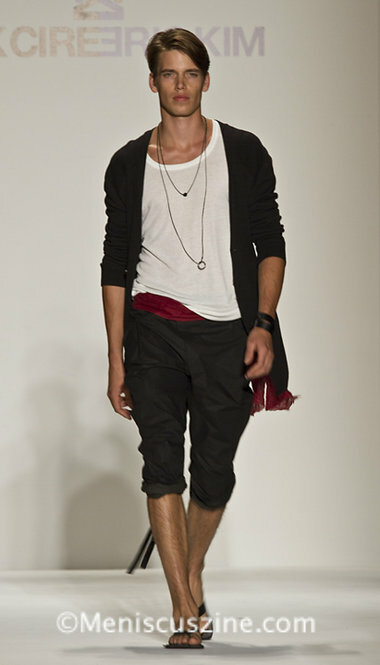 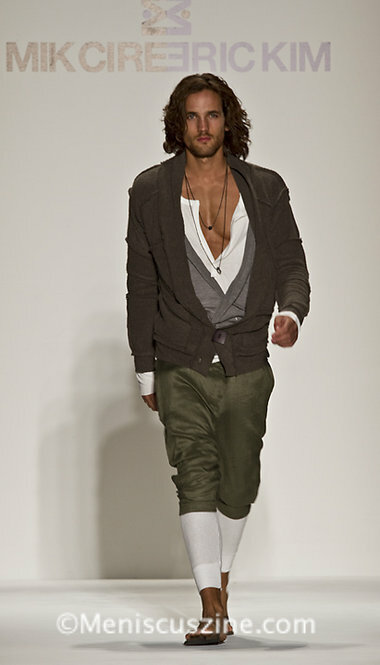 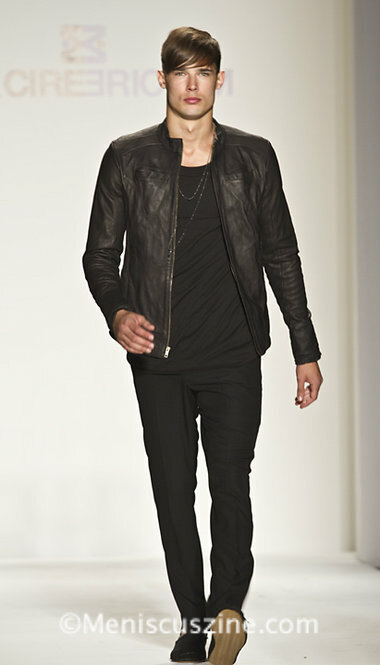 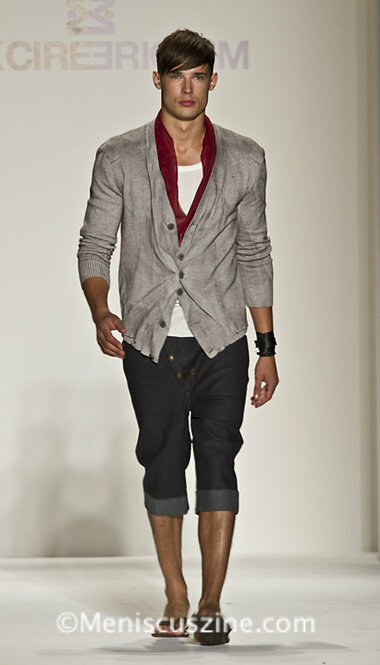 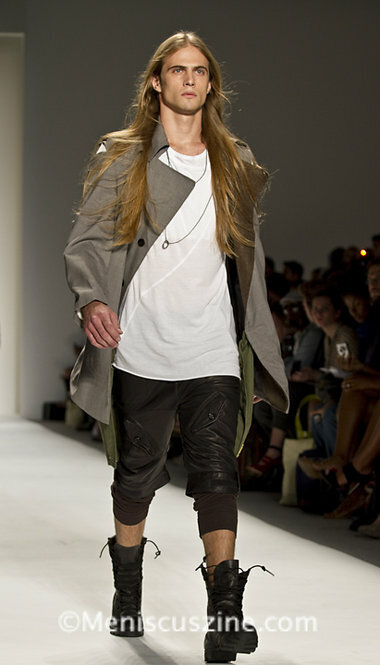 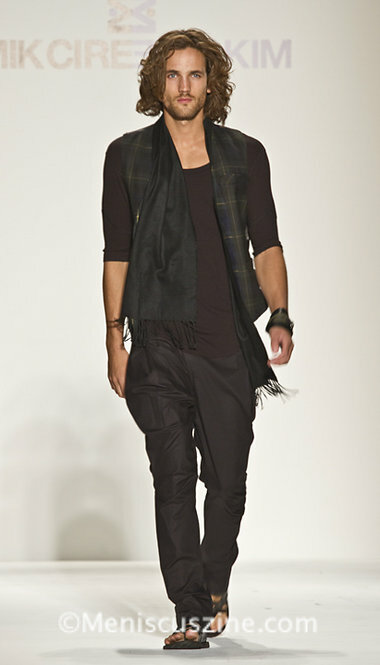 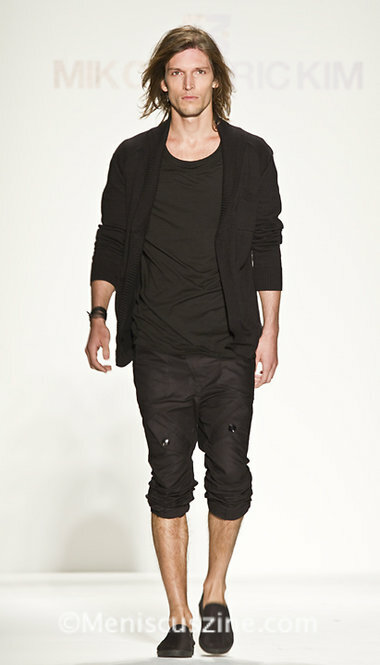 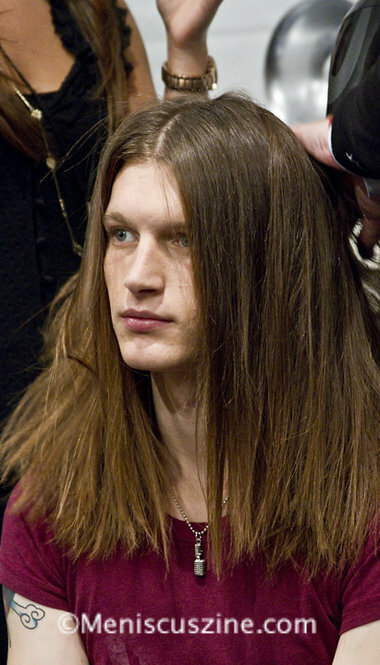 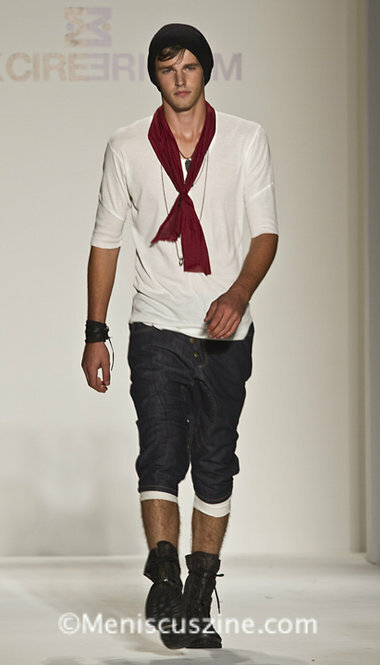 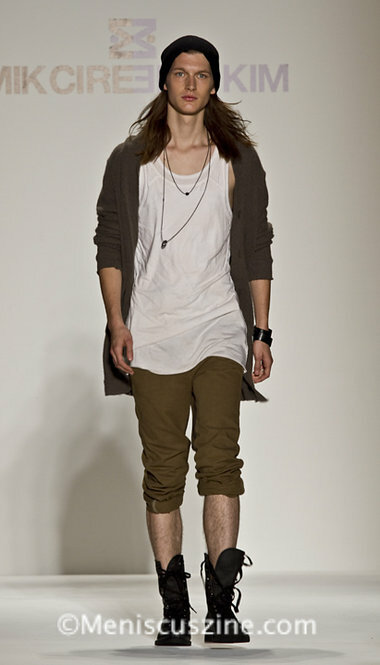 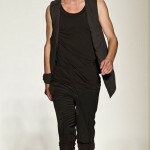 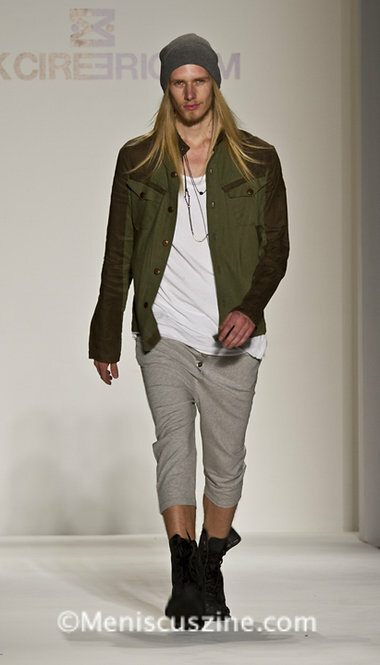 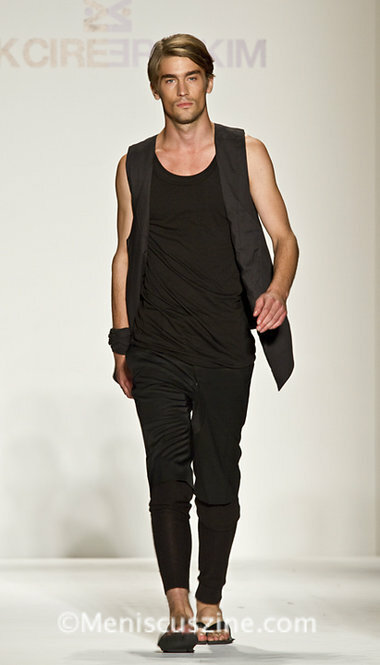 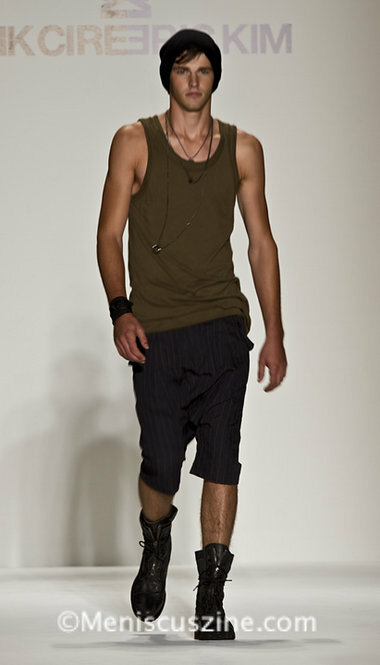 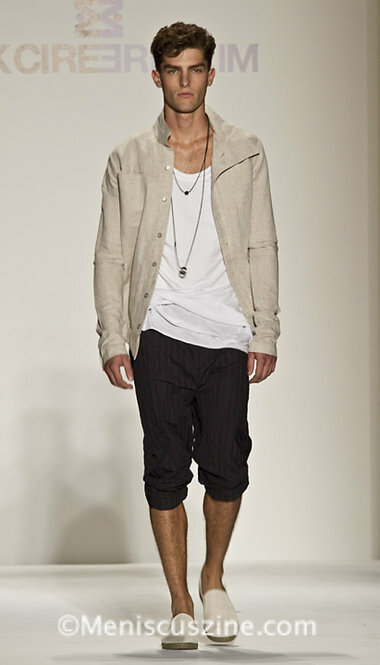 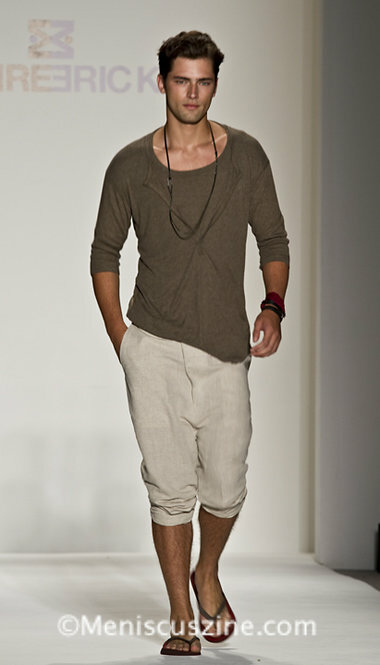 Kim’s Fall 2010 collection had an intriguing biker-meets-rock-star aesthetic; for spring, he toned down and lightened up with softer rib cotton Henley tanks, baggy shorts and trousers, and flowing scarves. 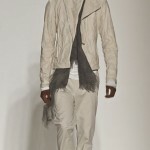 Most impressive were his jackets, particularly those constructed with cream-washed lambskin.